Ahhhhh, the gorgeous red rocks at the Valley of Fire State Park just outside of Las Vegas. Such an awesome place to shoot your wedding formals! I LOVE the vibe of Angelica’s bridal portraits at the Valley of Fire, just outside of Las Vegas. Almost like a wandering, nomadic desert bride. Gorgeous, right? Remember, if you’re having your wedding in Las Vegas, we LOVE travelling there! 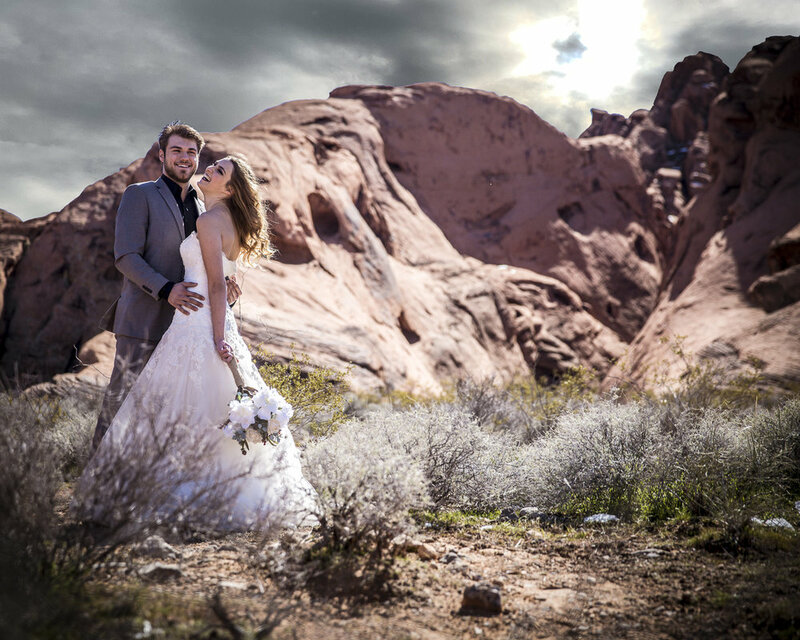 Wedding portraits for Lana and Curtis at the Valley of Fire! Such a gem so close to Las Vegas, and it was a GORGEOUS afternoon. These two were having a BLAST in front of the camera, and as you can see, they even got their daily cardio in! I love photographing bridal portraits at SFU! The mood is always different up there, so you know quite know what you’re going to get. We got a mix of blue sky and dramatic clouds on this day, but some days you’ll get a hauntingly beautiful vibe IN the clouds, or you may get a gorgeous sunny day with mountain vistas. You can do nature inspired photos, urban inspired photos…. So much variety! Gorgeous couple. Desert. Mountains. Long & flowy dress. Dramatic skies. I was pretty much in my own version of heaven here! You don't go into the hot Nevada desert expecting a storm, but hey, we roll with what we get! The stormclouds made for an intensely gorgeous backdrop over the mountains of Spring Mountain Ranch. Best Wedding Images of 2017! As 2017 draws to a close, I want to take a look back at my top 5 wedding images from this year, in no particular order. If you're recently engaged, let's chat!! Scotty Mac and Christina Von Eerie Married! Well this was definitely the most unique wedding I have ever shot. Welcome to the "Smeerie Wedding" at the historic Commodore Ballroom in Vancouver BC! The wedding opened up Elite Canadian Championship Wrestling Ballroom Brawl 8. The day’s festivities were at the Vancouver Alpen Club, which is a German restaurant. So Freddy offered to make peace of his years of pro wrestling abuse by offering me German beer and schnitzel. So obviously, all is cool now!! My style, on the other hand, is the polar opposite of light and airy. You’ll find my photos to be rich and contrasty. “Visually aggressive” is what I call it. Kandace and Brad got married at the Inn at Laurel Point out by the water. Yeah, an outdoor winter wedding! I loved it. 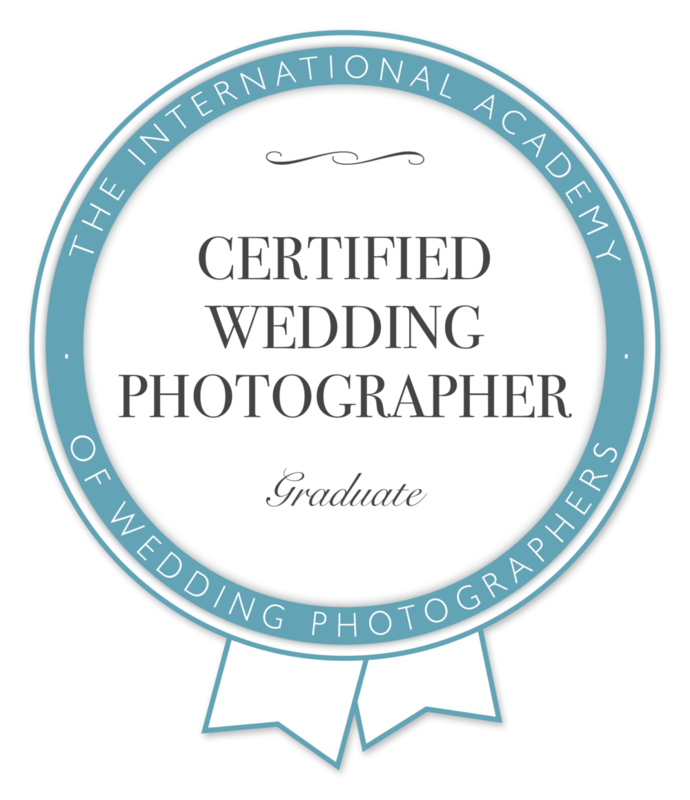 I have to go on record as saying that I love Love LOVE when my couples decide they want to do a first look as part of their wedding day! Melissa and Adrian had a gorgeous wedding up at Simon Fraser University. The kicker? It was at the tail end of a typhoon that drifted across the Pacific Ocean! After the sun had completely disappeared from the sky, I couldn’t resist having these two lovely models pose with each other for a few frames. The storm clouds kept on rolling in for Chantell’s part of the shoot. I love the contrast between her super colorful lehenga and the incoming storm clouds. Pretty typical weather for a Vancouver bridal shoot though, right?